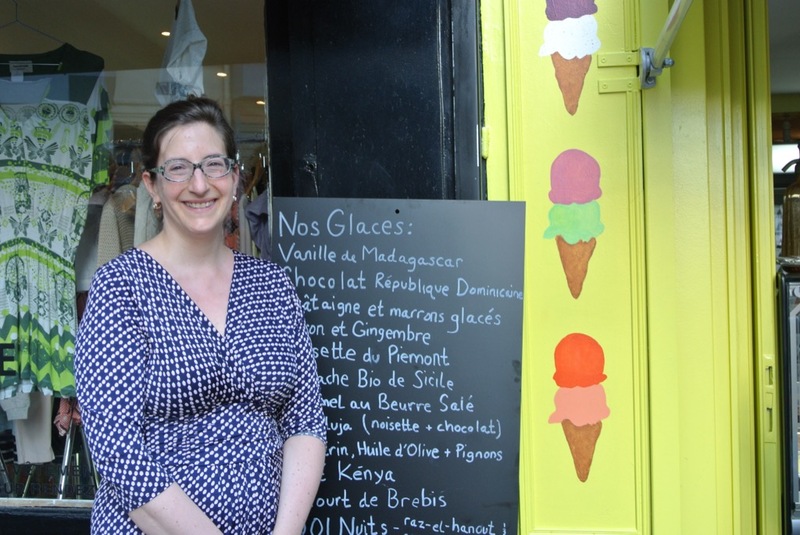 When American food writer Elizabeth Bard and her French husband Gwendal Auffret moved to the Lubéron six years ago, they had no idea their lives would change so drastically. In Céreste, East of Apt, they bought the house of poet René Char, who spent the war there, fighting in the Resistance. And they started a gelateria, ice creams and sherbets, called “Scaramouche” after the film with Mel Ferrer and Janet Granger. The tastes are unique, (cerise Burlat, poire passe crassane, pastis, carrots with orange and ginger, verbena, honey and thyme, bitter cacao, rosemary…) and at the opening one could taste as many mini ice creams as wanted. 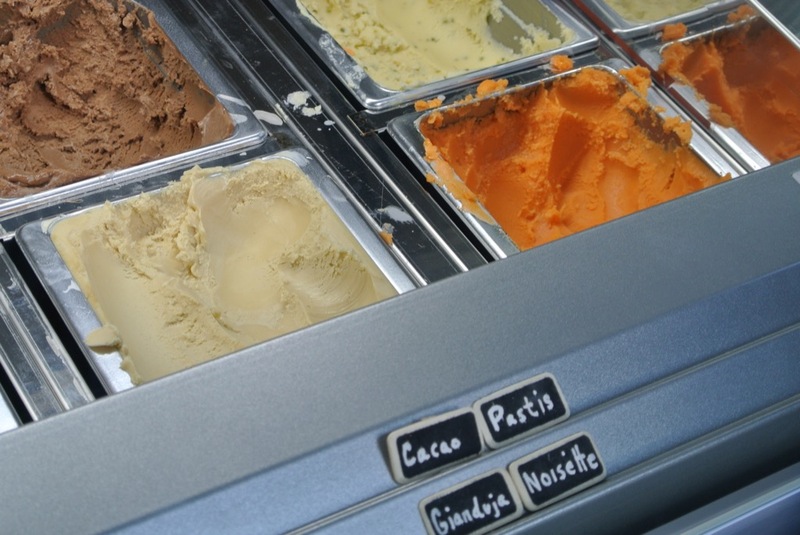 All are made in Provence, from local fruits and herbs (except for cacao or coffee obviously). 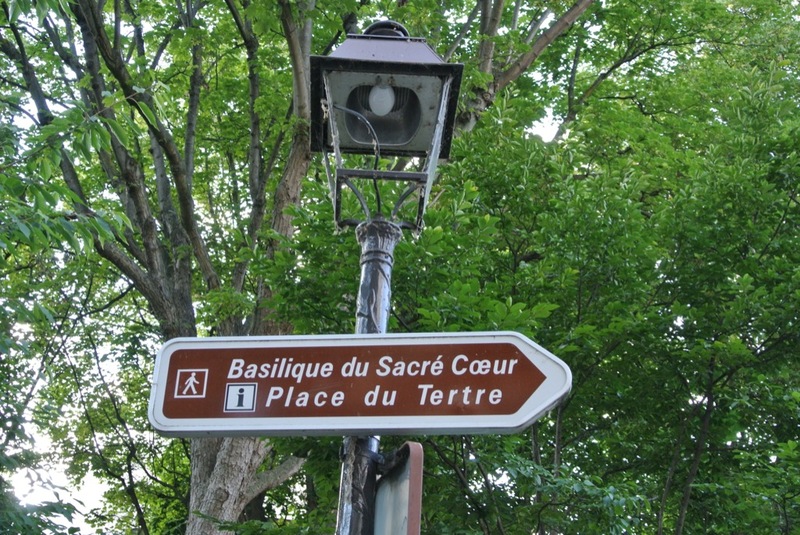 The adventure started in 2013 is so successful, that the couple decided to open an antenna in Paris, near the Sacré Cœur. 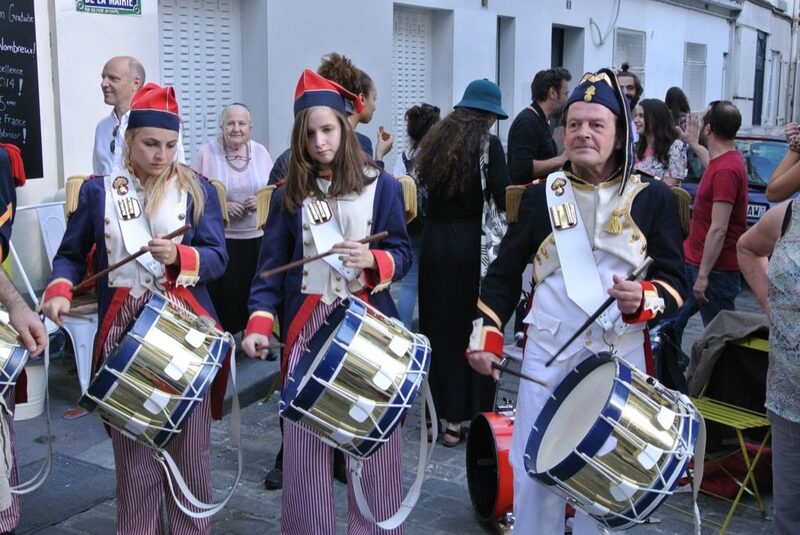 For the opening, where New York Times journalist Celestine Bohlen had invited me, they asked the « Poulbots de Montmartre » a charming band which plays for the benefit of street children, to enliven the atmosphere. Tourists and guests mixed and immediately lined up to buy some ice cream cones. I loved the lemon and ginger, the pastis and the carrots. Caramel was great too and pistache was tempting. Prices are quite dear (3€ per scoop) but if you buy a half liter – and that’s what we did eventually for 12€- things become reasonable… and the little street near the Abbesses theatre, where it is located (22 rue La Vieuville) is worth visiting. Do not go to Montmartre without seeing Scaramouche! and catch up with them in Lubéron, in Céreste, the little village where Henri Cartier-Bresson had a house. « Where on earth …?